Danny Fujioka | Nagamine Okawa Engineers Inc.
Danny Fujioka has practiced structural engineering since 1999 and joined Nagamine Okawa Engineers Inc. in 2005. He specializes in wharves, waterfront structures and military structures. His subspecialties are bridge structures and wood framed structures. Another subspecialty includes multifamily structures. 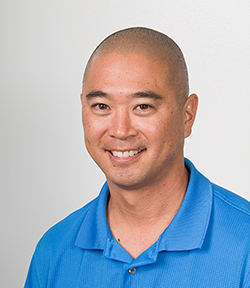 He is a licensed structural engineer in Hawaii and a licensed commercial diver. Danny Fujioka has his Bachelor of Science degree from Oregon State University.